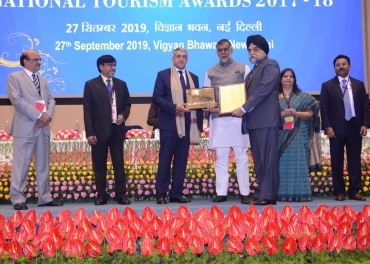 Greetings from KTC India Pvt Ltd.
We are pleased to share that KTC India Pvt Ltd, has been awarded India's National Tourism Award by the Honorable Union Minister of State for Tourism in New Delhi. We have been awarded for outstanding achievement and contribution to Tourist Transportation in India. We would like to thank all of you for your support, in enabling us to achieve such levels of excellence.